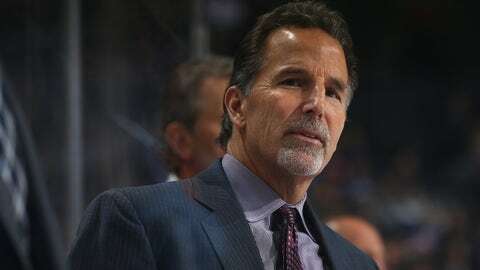 "If any of my players sit on the bench for the national anthem, they will sit there the rest of the game," Tortorella told ESPN’s Linda Cohn on Tuesday. It’s unclear if any American hockey players were planning on exercising their constitutional right to protest, but Tortorella’s stern warning makes it clear that he doesn’t want any part of it during the World Cup. It seems unlikely that anyone will go against his wishes, but if it happens, it’ll be interesting to see if the coach follows through with his threat to bench the protesting player(s). It’ll also be interesting to see what kind of media firestorm ensues if he does.